Easter is fast approaching, and Captain’s Quarters Resort in Myrtle Beach is ready to keep families entertained during this festive weekend. Paired with fantastic amenities, wonderful Myrtle Beach spring temperatures and great accommodations, why would you choose to spend Easter anywhere else? Captain’s Quarters will be celebrating Easter with free activities that the whole family can enjoy on Saturday, April 20, 2019. There will be plenty of prizes, plastic Easter eggs to find and appearances by the Easter Bunny and our Salty the friendly shark. Plus, the Tipsy Turtle Pool Bar will feature great specials (weather-permitting) and families can head next door to Loco Gecko Beach Shak for lunch or dinner while enjoying the warm ocean breeze. It’s a one-stop-shop for families looking to have fun at the beach this Easter weekend! * Poolside activities are weather-permitting. Activities will be moved to Level 6 if needed. * Activities are exclusive for guests of Captain's Quarters and hotel BLUE. There will also be other festivities in Myrtle Beach taking place around Easter Weekend including fireworks at Broadway at the Beach at 8:30 p.m. on April 20, 2018. Enjoy some shopping and dinner followed by a spectacular firework show! During Easter weekend, families can also enjoy many Myrtle Beach hotel amenities at Captain’s Quarters Resort including the large indoor poolscape, featuring a Myrtle Beach lazy river, hot tubs and large pool. Or, they can relax on the oceanfront pool deck, lounge on a pool chair, or even spend the day on the beach, just steps away. Families on vacation that are looking to enjoy some indoor activities can head up to our Myrtle Beach bowling alley to play a friendly game of bowling, check out the arcade games or have a snack. You can then head over to Loco Gecko Beach Shak for delicious dining including burgers, pizza and wraps! Spending Easter in Myrtle Beach is a great choice because the temperatures that time of year are great. The average temperatures are typically in the 70s for daytime highs. It’s great for those who want to beat the summer heat with a spring Myrtle Beach vacation! 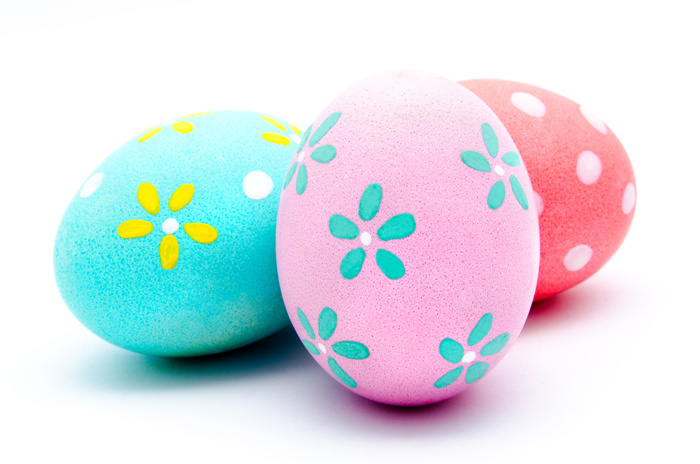 Finding great Myrtle Beach accommodations at an oceanfront hotel that has Easter activities can be a difficult task. Look no further, as Captain’s Quarters Resort in Myrtle Beach has you covered! We have rooms perfect for couples as well as efficiencies, Myrtle Beach hotel suites and junior suites, and two room efficiencies, which can be great for families. With a wide array of accommodations, you are sure to find a great unit in your price range for an affordable Myrtle Beach Easter vacation. Start your search here by checking out our Myrtle Beach hotel deals page. You really can’t go wrong if you stay at Captain’s Quarters Resort this Easter. What makes more sense on a family-friendly holiday than to stay at the most family-friendly hotel in Myrtle Beach? Click here to book now!